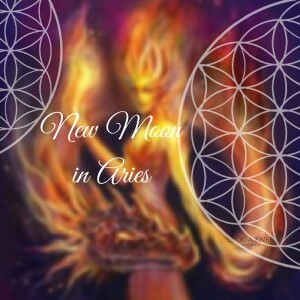 New Moon is a time of new beginnings. And this new beginning happens in the first sign of the zodiac – Aries. Cardinal Fire is the confident initiator, a progressive leader, a passionate pioneer. Let these traits ignite within you for the New Moon and alight your desire to achieve your greatest potential. This New Moon is also a Super Moon. Meaning that the Moon is closer to the Earth – even if it is not seen (dark moon) its qualities are enhances and amplified, therefore they will be felt more on those who are more tuned in and aware of themselves. This Super New Moon is sparking a wakeup call. It is time to take that instinctual action, a blind leap of faith to now evolve on your true path. It is no wonder more and more people are waking up and becoming more self-aware, seeking a resolve to the longing in their heart for wholeness. The long-time quest for balance is burning bright now and this New Moon is setting the tone for its awakening. Let this energy burn away old habits that hold you back, and allow yourself to revive to the powers that are ready to radiate your light on your desired path. Change does not happen overnight, it requires small and continuous steps in the right direction. What direction are you ready to step in? This New Moon in Aries, is balanced by planets that remind us of the equality and wholeness that exists in nature. There is always a day to the night, a hot to the cold and a high to the low. Do not fear the lows, nor wallow in them for they are teaching you how to expand to greater levels of wholeness by experiencing the full spectrum of emotion and experience. Seek the balance the yin and yang in you (Uranus/Pluto and Eris/Lilith) – your dark side and your lightness. Embrace them both as they are both equally powerful and worthy but only when they are in respectful harmony can they actually empower you to stand in your true and best self. Don’t let this combustive energy explode in you, be aware of your emotions and thoughts, seek to channel this fiery power into proactive and creative forces that allow your reactions to radically transform your being. This New Moon in Aries calls for a serious boost – and what better then to play with inversions: Stand on your head! Aries governs the head, so give it a good rush of blood to refresh its processes and reenergise your system. Inversions can benefit the circulatory, lymphatic, endocrine, and nervous systems. Being up-side down keeps lymph moving, supporting a healthy immune system. It is good for us to shake up our energy flow, by inverting your body, you really get a great rinse out and fell rejuvenated when you turn right side up again. Inversions can elevate mood, relieve depression, enhance brain power (concentration and memory), and lower your blood pressure and heart rate. 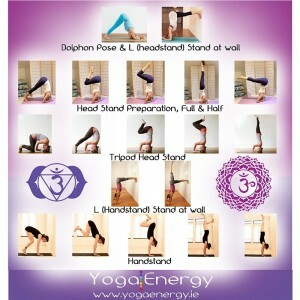 With regular practice these postures can improve sleep, aid digestion, and relieve back pain. So why aren’t we all doing inversions? We are all born with the innate fear of falling. Inversions challenge that fear of falling. By learning to deal with the fear of inverting you can establish a strong sense of confidence firstly in your practice but then you can apply this method to other fears. After all your yoga practice is a PRACTICE. How you play with your practice on the mat gives rise to an opportunity to tackle life issues off the mat. So, the confidence you gain with inversions can help with other fears. Inversions literally turn your world up-side down. Inversions will give you a new perspective and a boost of strength and confidence. No sure if you are ready for inversions? Find an experienced teacher your trust. Practice with a buddy and a wall at the beginning. Start with simple poses and work your way up to more advanced inversions. Down dog and dolphin pose are perfect inversions. Inversions should be avoided if you have a history of neck injuries, seizure disorders, vertigo, high blood pressure, heart conditions, or eye problems. Inversions should also be avoided during menstruation and pregnancy. Always take your time! Concentrate on correct techniques and building a solid foundation for all inverted postures. If you are not up for the full body inversion you can simple lift your legs up the wall or rest them on the bed as you lay on the floor supported. This can alleviate tired legs after a long day’s work! 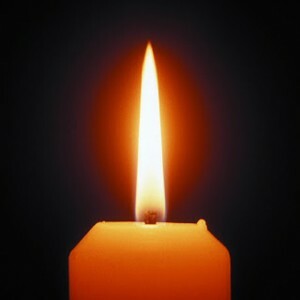 Trataka – Candle Gazing is a wonderful practice to calm the racing mind and help to tame distractions. An excellent optical nerve detox too – alleviating bad dreams or a troubled mind.